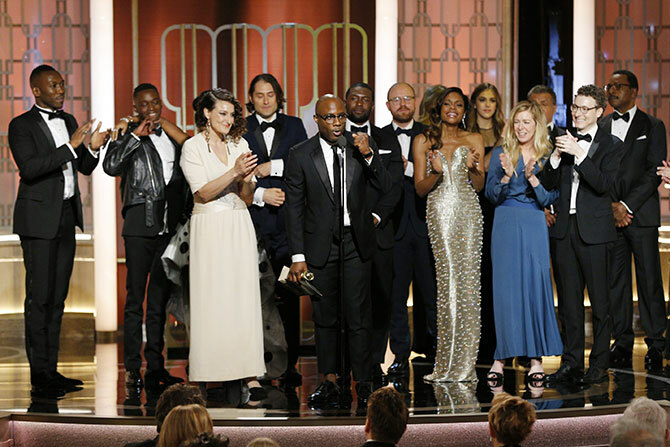 Raja Sen list his favourite moments at the Golden Globes. The La La Land style opening sequence for the show, an inspired moment in an otherwise comedically unspectacular moment gave us -- among other deftly displayed joys -- the irresistible cast of Stranger Things telling us that a certain fan favourite character isn't dead. The HFPA's La La Love extended to the film itself, with La La Land winning all seven Globes it was nominated for. Ryan Gosling, picking up his Best Actor trophy, apologised to Ryan Reynolds for what he joked was an obvious mixup. 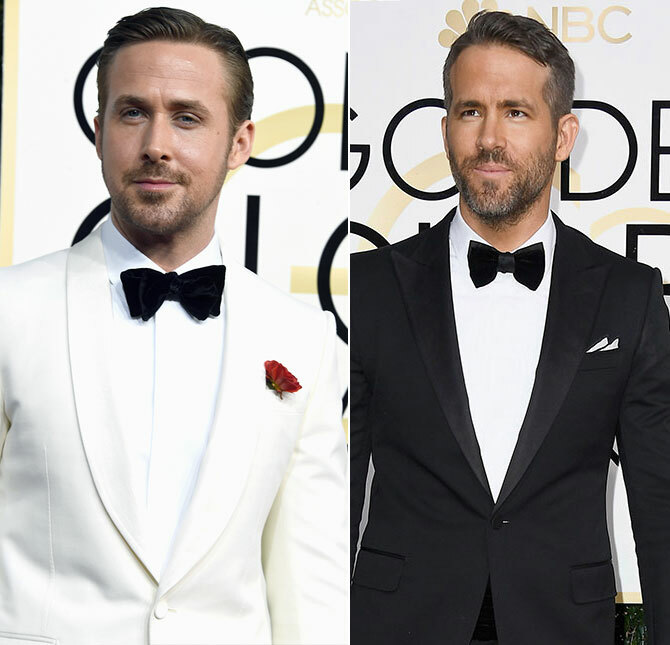 Nominated for La La Land and Deadpool, the two Ryans had quite the night egging each other on with Reynolds spoofing Gosling during the opening and -- to make up for Gosling's on-screen romance with Emma Stone -- the Deadpool-star kissed Stone's former boyfriend Andrew Garfield on the mouth during one of La La Land's wins. Game Of Thrones might not have earned much love for an uninspired season, but it is clear that actress Sophie Turner, who plays Sansa, is surely the one to beat on the red carpet. The young lady looked luminous and is clearly ready for the full glare of the Hollywood spotlight. The year's most awarded film didn't see any Globe-love right till the end of the night, when it won Best Picture (Drama). 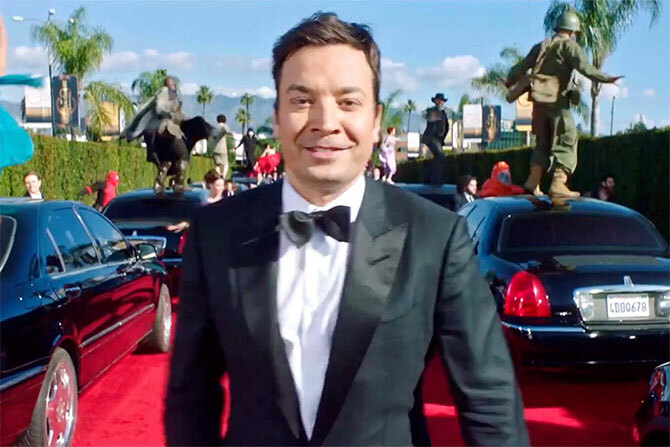 This year the entire Drama category seemed to have been pipped by the Musical/Comedy category, however, and by the time the last award -- and traditionally the biggest award of the night -- was announced, the buzz felt minimal. 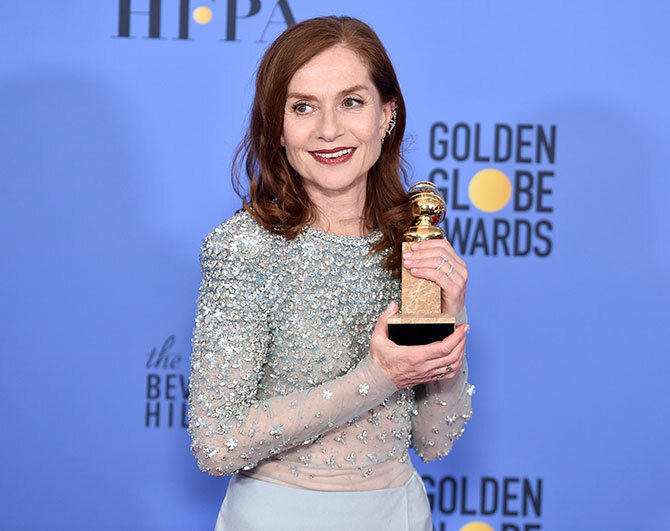 The two best, most heartfelt acceptance speeches of the night came from Best Foreign Language film winner Paul Verhoeven and Best Actress Isabelle Huppert, and just to see a film as warped and stunning as Elle win at a show so populist as the Golden Globes is a heartening sign. It is a great and audacious film with a performance genuinely impossible to ignore. The Hollywood Foreign Press Association is known for rewarding broad and popular efforts, with winners often repeating successes in the same category, but now things are looking up. 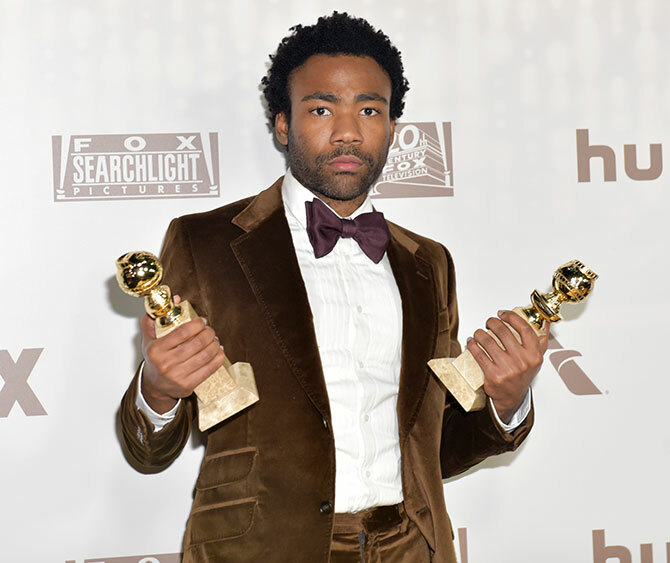 The fact that Donald Glover won two Golden Globes for his urgent, vital Atlanta -- and that Issa Rae was nominated for Insecure -- shows that the HFPA is wisening up. They might still be star-obsessed non-journalists with little credibility, but at least they are reading The AV Club now. Meryl Streep laid down the law like only she can, shaming the President-elect and shaming America for having elected him. She spoke about Hollywood, pointed out exactly how foreign it was, and pleaded to the press to hold high offices accountable. It was an overwhelmingly powerful speech, delivered as only she can. 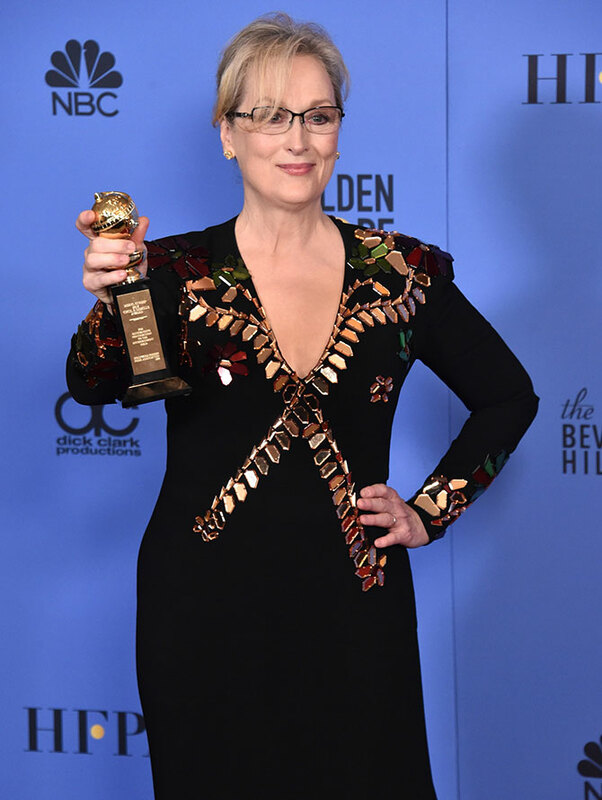 Streep was receiving the Cecil B DeMille lifetime achievement award, and, seconds before she spoke, a wondrous show-reel flaunted her unbelievable range. We know Streep can do anything; it's what she chooses to do that makes her a true legend. Golden Globe 2017: Priyanka sizzles in gold!